On Wednesday, UK's National Health Service (NHS) released new guidelines concerning women giving birth, advising women with low-risk pregnancies to consider non-hospital births. 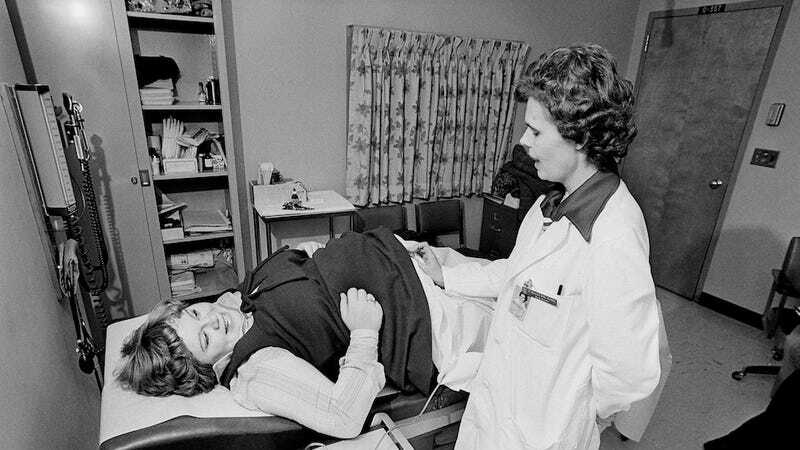 The National Institute for Health and Care Excellence stressed the importance of providing a range of birthing options for women: in a obstetric unit in a hospital, a midwifery unit adjacent to a hospital, a freestanding midwifery unit, or at home, where one midwife should be present. About 700,000 babies are born in the UK every year, and while currently nine out of 10 babies are born in doctor-led obstetric units in hospitals, 45% of women are at very low risk of birth complications and would benefit from another option. According to the NICE recommendations, doctors or midwives should advise women who have already given birth to give birth at home or in a midwifery unit as women who give birth in hospitals are more likely to receive interventions such as episiotomies, cesarean sections, forceps or ventouse. They note that "the outcome for the baby [born at home or in a midwifery] is no different compared with an obstetric unit." They also advise that for first time mothers, a midwife is "particularly suitable" but home births are slightly riskier. Cathy Warwick, chief executive of the Royal College of Midwives (RCM), said: "For low-risk women, giving birth in a midwife-led unit or at home is safe and reduces medical interventions. "We hope this will focus commissioners' and providers' of maternity services attention on ensuring that women have a real choice about where they give birth." Hospital births can rack up quite the bill, particularly if surgical interventions (that were not necessary and would not have been used in a midwifery) are employed, so promoting midwifery or home births could help keep the cost down (for that natural part of human life) for mothers.